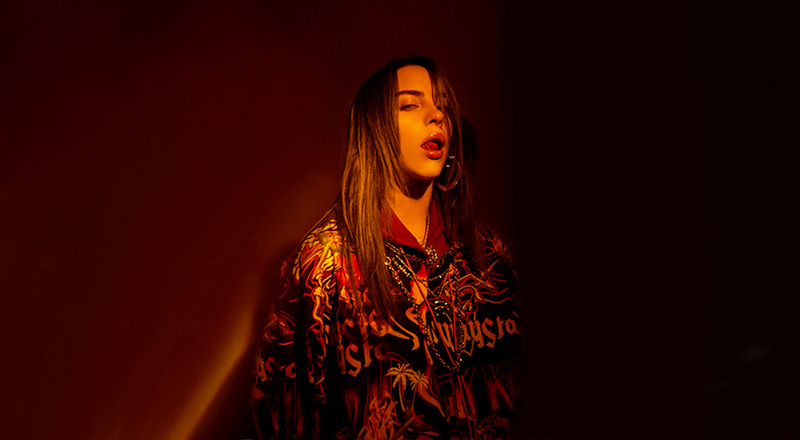 US teenage sensation Billie Eilish has struck a massive chord with fans around the globe with her haunting demeanour and uniquely ethereal brand of electronica. Latest single ‘bury a friend’ is sinister in name and lyric, complimented by Eilish’s soft vocals and dark undertones. The song is unsettling (try watching the video below), but there’s something tranquil and thoughtful about it. Eilish wrote and produced ‘bury a friend’ – along with her upcoming album WHEN WE ALL FALL ASLEEP, WHERE DO WE GO? – with her brother in their childhood home in Los Angeles. Since ‘bellyache’ dropped in early 2017, triple j has rarely missed a beat with Eilish’s music. Accordingly, the youth broadcaster added the new single on highest rotation this week. ‘lovely’, her collaboration with Khalid, has been a mainstay on Australian streaming and digital charts for the best part of six months, peaking at #5 on the AU Spotify chart and #17 on AU Shazam.